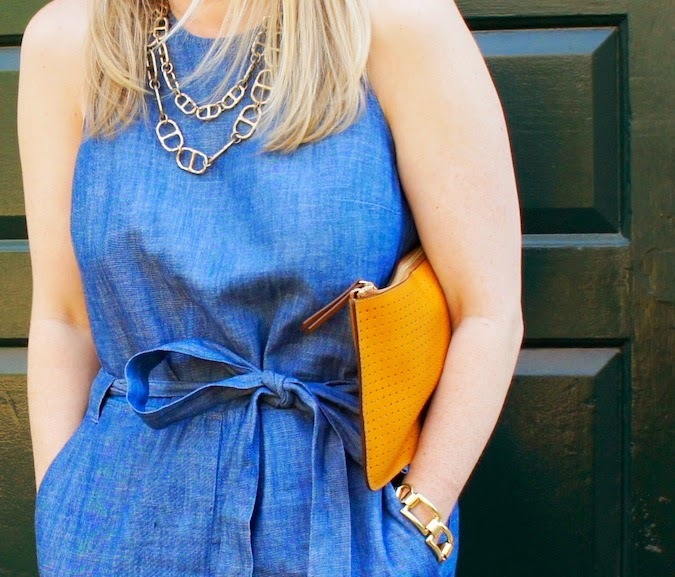 The jumpsuit. Is there anything more divisive in fashion? (Probably.) Stella McCartney loves them. Other women find them infantile, or just difficult to wear. I am firmly on the side of Team Jumpsuit, for the same reason I am on the side of Team Dress. When you are trying to throw together a look in the morning, there is nothing easier than putting on one piece, and being done! 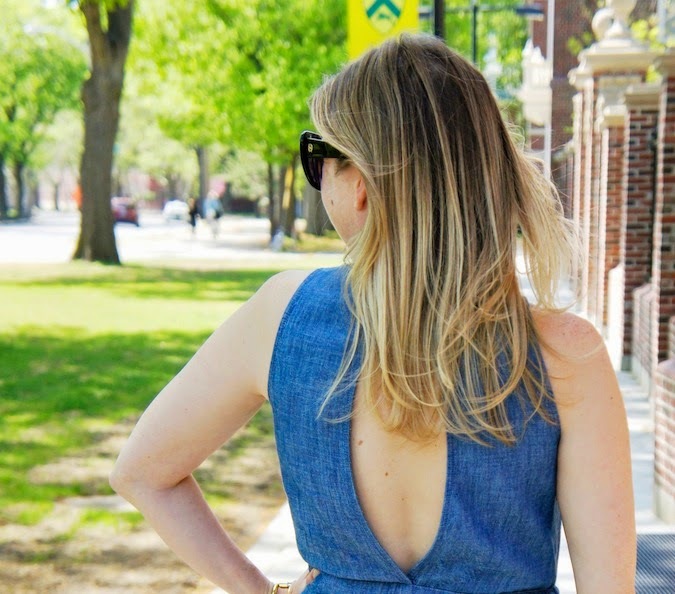 I picked up this jumpsuit at GAP Harvard Square - it's perfect for lunch with your girlfriend or a summer weekend. Be sure to enter to win my current giveaway: Two tickets to Boston Ballet's Thrill of Contact and lunch for two at the Ritz-Carlton, Boston Common! 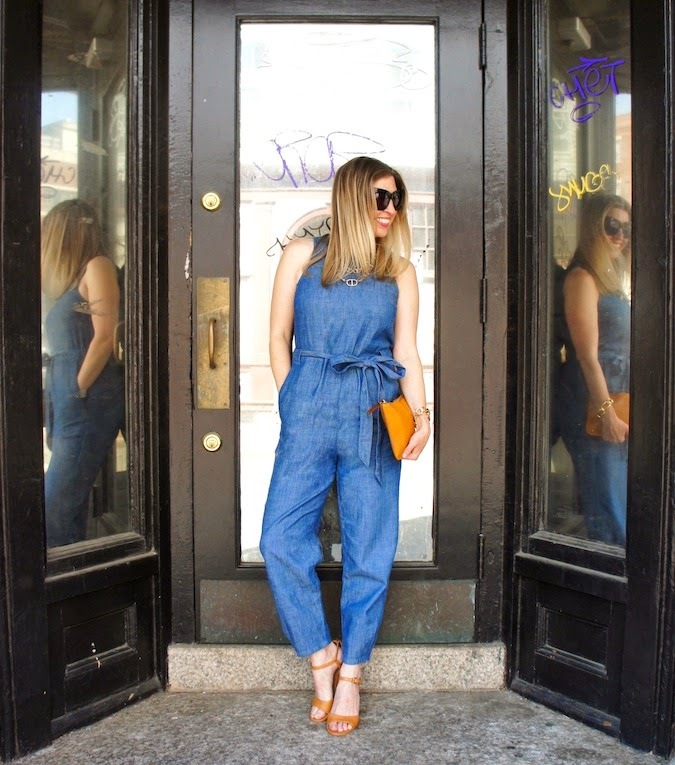 JUMPSUIT: GAP (c/o, also comes in tall and petite) BAG: GAP (c/o) SHOES: ECCO NECKLACE: Mikkat Market BRACELET: Julie Vos SUNGLASSES: House of Harlow 1960 PHOTOS: Renata CW. You look amazing in that jumpsuit. Love it. 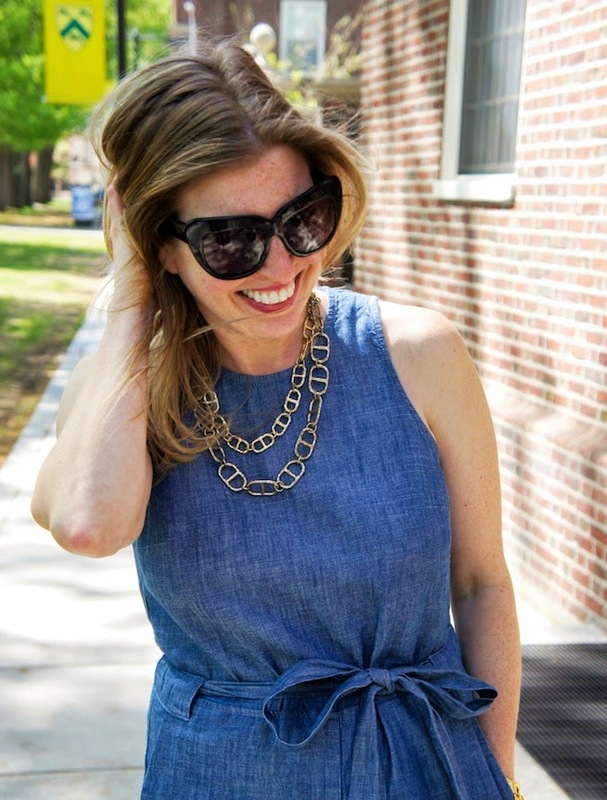 I was looking for Boston fashionistas - and I found you! Why Boston? Because I come there regularly and I love the city. 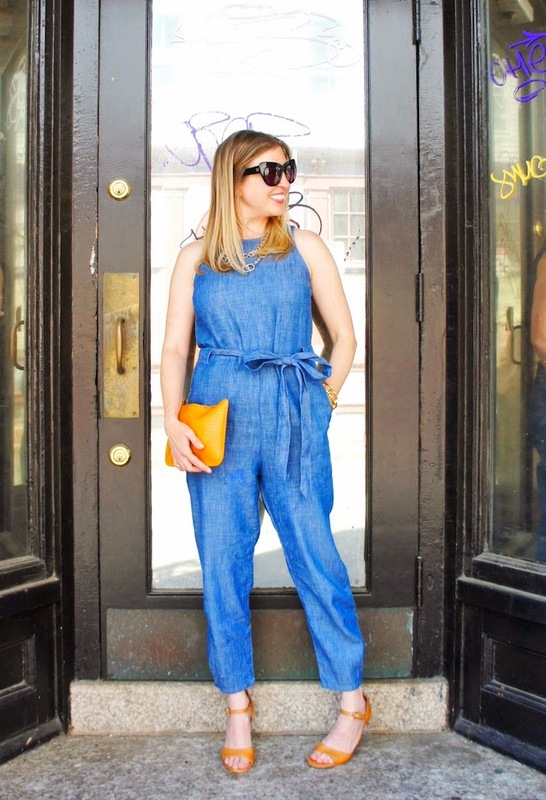 I can't wait to get to know you thru your blog more... You look great in this denim jumpsuit. 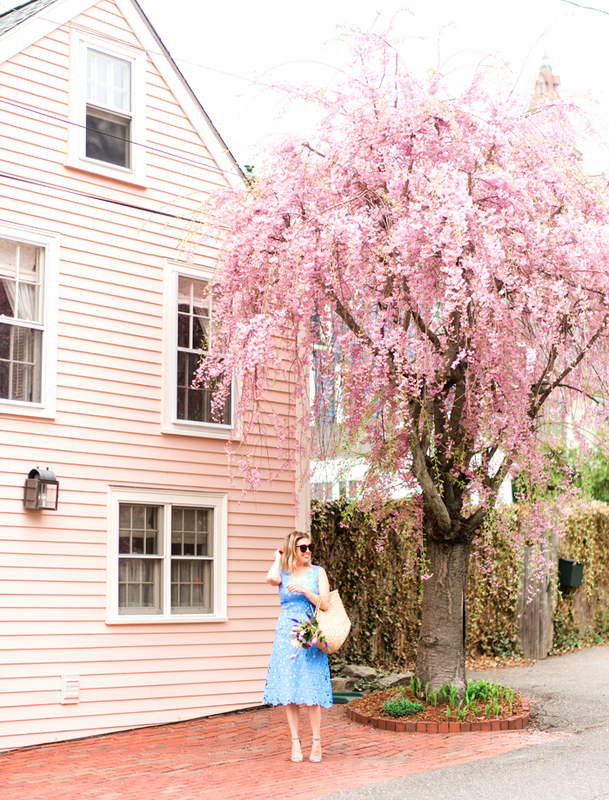 It would be fun to see you on my blog, too. Hi There! I LOVE Quebec City - you may notice I wrote a piece on 10 Places to Eat & Shop in Quebec City awhile back. Drop me a line the next time you come to Boston! Love this look, especially the cut out in the back. You styled it perfectly, as usual. I am a fan of all things one piece and this one looks great on you! It's hard to have any complaints about these event rooms for rent. It's easy to get a drink since they actually keep enough bartenders working at once, and you'll almost always find a place to sit. I love the vibe, the area, the people and the food at this place.